Favorite Beer Haunt: Well, I frequent a lot of beer establishments and it changes from time to time but I would say that my current comfort zones would be Bridgetown Beerhouse and Sasquatch Brewery. What was the first craft brew you ever tried? What did you think? Barring St. Ides Special Brew (ha ha ha), I would have to say Rogue Dead Guy was the first craft brew I ever tried and at that time I would have to say it didn’t sway me one way or another. The first craft beer I tried that made an impression was a Milk Stout from Duck Rabbit Brewing out of Farmville, North Carolina. Do you homebrew? If yes, favorite homebrew to date: I have never brewed a batch on my own but have helped on a few occasions. I hope to partake in such activities in the future once time allows. How’d you hear about the pdxbeergeeks? 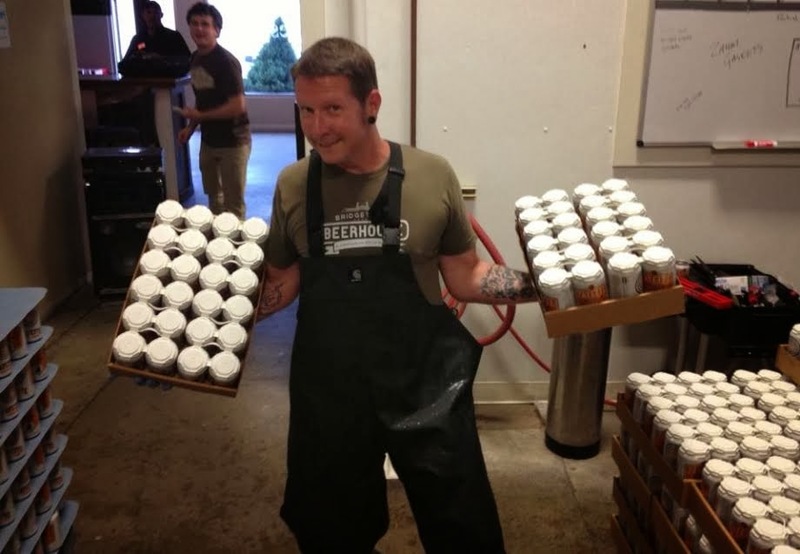 I would have to say my first acknowledgements of pdxbeergeeks would be from running into Michael Umphress on a regular basis at events or favorite watering holes. What does being a beer geek mean to you? Being a beer geek in my eyes simply means having an appreciation for the craft and culture. If you could change one thing about beer culture in the US, what would it be? The one thing I would change in the beer culture is my current focus, bridging the gap in state to state distribution. Have Yourself a Beer-y Christmas!